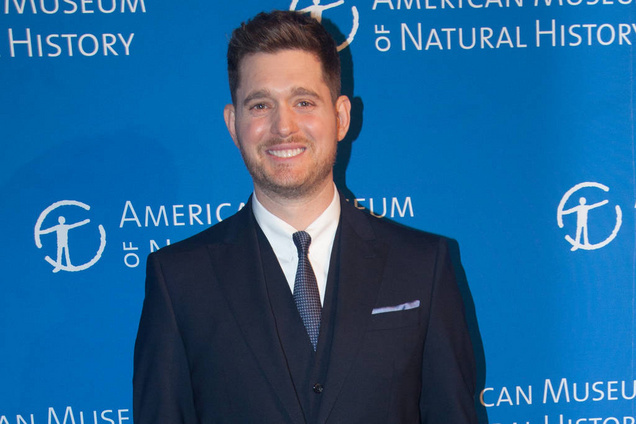 Michael Buble is going to release his new fragrance in a specially arranged online show. The new fragrance is for women and the singer is positive for his product's success. The songwriter has organized a Facebook show this month for the promotion of his new scene. He will play tracks from “Nobody But Me”: the new album at the giant occasion of the concert for his perfume promotion which is going to take place in New York City and will be streamed via his Facebook page. His new album is his first album to release in a three-year time. Releasing in coming days, the album has renditions of some famous music celebrities such as Nina Simone and Brian Wilson. Michael says he is glad to have classic jazz tunes like “My baby just cares” and “God Only Knows” from these stars in his album. The Canadian singer has named the scent as “the eau de parfum" which is going to perfume departmental stores in America, Canada, Germany, Australia and the U.K. at the same time. However, it is also set to release in South Asia. The fragrance was previously set to launch in June 2016 but was delayed due to some reasons. The new fragrance has a touch of vanilla, patchouli and rose. It also features peony, white amber, and lilly along with a pinch of wild jasmine. Not only this as “the eau de parfum" also characteristics with top quality Italian bergamot, lemon as well as red fruits. Michael enlightened about his fragrance business endeavor saying that he has always loved fine perfume. And once he decided to do it, he immersed himself to learn the mesmerizing process of how he can actually produce just the right fragrance along with an exceptional wrapping that can best reflect his best taste and thoughts of the wonderful and dreamy scent. He insists he is a hopeless romantic person who is genuinely reflected through his lyrics he pens down, the songs he sings and the concerts he has performed around the plant. Michael says he wanted to collaborate on making a scent that can represent the same feelings as his music does. ‘Nobody But Me’ is Michael’s 9th studio album which also features the guest appearance of Meghan Trainor and has three original tracks penned by the songwriter. Michael actually gushes saying he feels really proud of his new tracks. He is very much optimistic about his upcoming album and has had a great fun time during its making. He says he doesn’t remember if he ever had this much pleasure while working on any of his albums. “This time it was particularly exciting to work together with my group members who know that I wanted to sound greater than I have ever”, he said. The star is a multitalented individual whose talent will also be visible in his new film name ‘Tour Stop 148’ which is due to release in the end of coming month. The movie has the video clips of his performances on ‘To be loved’ and some close ups of his stories and struggle during his career.